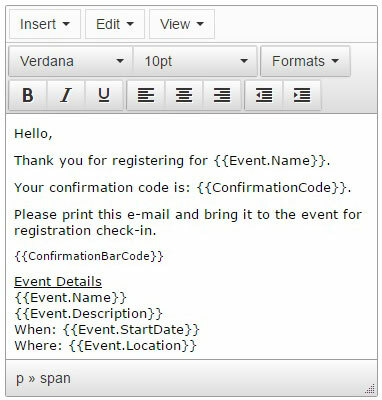 Eventleaf Online Review: "Excellent all-in-one event planning software!" 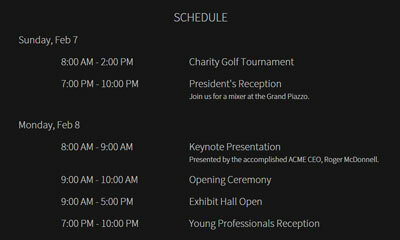 Working in marketing at a software company, I organize trade shows on a weekly basis. Before using Eventleaf Online, we would use in addition to the event managing software, an external company to print our badges, and another for all payment issues, and a third company for security. With Eventleaf Online's amazing features, I now no longer have to deal with that headache. Whether it's the secure payments I can trust, the excellent driver's license scanner or the easy and fun event badges, I now save time and money on the event. The only thing I would change is make the downloaded version available for Mac as well, but besides that everything is great. From my experience, Eventleaf Online is suitable for all sized events and for almost every company. Eventleaf Online Review: "Intuitive, comprehensive and easy to use for begginers like me!" I was in need of a platform to help me set up and manage the first in a series of fundraisers for a group of local artists. I was a bit intimidated by this task as I had never done anything like this before; we are artists and not business people! Lucky for me I stumbled upon Eventleaf Online. 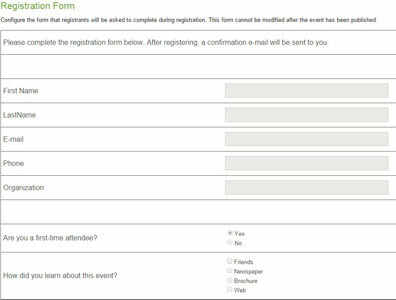 I used Eventleaf Online for the fundraiser registration and I found it to be an easy to use, very intuitive all-in-one product. I was able to build the registration system quickly and it functioned perfectly (phew). I certainly couldn't have done our registrations without this great tool. I also liked that the system will allow us artists to expand our options down the road, should we want our fundraisers to include selling books, paintings, glassware, videos and other deliverables with a shopping cart. Bottom line, Eventleaf Online is very easy to use and navigate, even for a non-techy person such as myself. One less thing to worry about when planning the next fundraising event! Easy to use: I was a first time user and signing up was super easy. Intuitive: The progam flowed naturally; the order of the tabs and their contents made sense and led me through the process with ease. Comprehensive: While I only used the program to register folks for a fundraiser, it has other options which I will totally use down the road. This was the first time I used Eventleaf Online; it was recommended to me by a friend who had used it in the past. I had no issues at all but only used it for registration purposes. It did what it said it was going to do, which was a total relief - one less thing I had to think about! It was great for me because it was super easy. I'm a writer and haven't needed to use a product like Eventleaf Online before. I was then tasked to set up a fundraiser, which was daunting - I'm not an organized person. But Eventleaf Online really made my life easier and relieved a lot of the stress I had about organizing the fundraiser. And while I only used Eventleaf Online for the registration feature, I will use it more comprehensively in the future depending on the needs of my artist group. Eventleaf Online Review: "Eventleaf is precision, perfection and attention to the smallest of details"
Precision, perfection and attention to the smallest of details are paramount when dealing with a challenging client. Trying to plan a complex project kickoff meeting with key stakeholders and client executives from all over the globe can test those attributes and either make or break client relationships. Eventleaf Online not only made planning this intricate event super easy, but the free platform had everything at my fingertips right down to the smallest detail. Setting up my account was simple with absolutely no hassle and creating the agenda and planned speakers, with pictures and all, was actually a lot fun. Not only did my meeting invitations get compliments, but I received more acceptances because of how easy it was for everyone to register online. I highly recommend Eventleaf Online to any business who wants to keep their clients happy and their events organized from start to finish. There’s nothing to dislike. It is very simple, yet powerful and most of all reliable. Eventleaf Online saved me so much time preparing and organizing a corporate event and impressed my client. It is perfectly suited for our event planning needs. Eventleaf Online Review: "Eventleaf is the best for any Event Management"
Eventleaf Online is ease to use for both small and large events. I can manage my event from a tablet, home or office PC and phone. All in all I am happy with this product and highly recommend this to any of my associates. Payouts are made monthly or when your event ends. 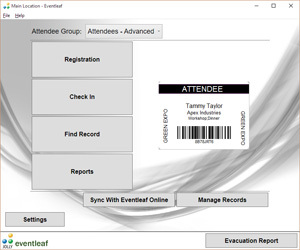 Eventleaf Desktop only runs on Windows tablets and operating systems. New features and other releases won’t be automatically updated. 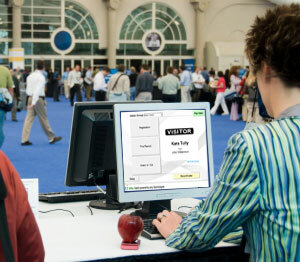 As an owner of an IT company, I have attended many trade shows, exhibitions and events that required registration. I have also attended organized events to open a new branch in another place. I was looking for a platform which would help me conquer this task and I didn't have much time. I heard about Eventleaf Online and discovered that it is the all in one platform I had in mind. I created an account and after few clicks I was done with publishing my first event. User Review: "Eventleaf Online is the solution"
As an international design firm, we are asked to build a full range of online solutions for clients. We are always seeking the best solutions to fulfill our client needs, and sometimes they come in already built packages. Eventleaf Online s one such solution. It allows a person to easily create beautiful event websites with profiles, agendas registration and so much more. Our first look at Eventleaf was prompted when a large local church was seeking a better system to manage one of their largest FREE events, with over 1000 attendees. Instead of invest in a custom built solution, we recommended Eventleaf Online. The organizers and attendees were incredibly pleased with the functionality and ease of use. We have since recommended Eventleaf Online to a few other larger conference event organizations with continued positive feedback. Eventleaf Online is well suited for any event, large or small. 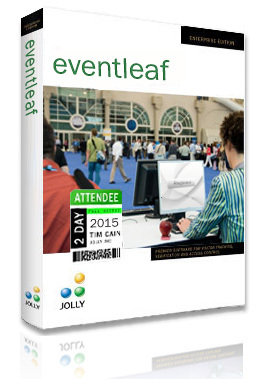 Eventleaf Online Review: "Start to Finish results"
Live updates for registered attendees. Easy communication to all or only one invited guests for reminders, updates and follow-up. Straight forward, easy to use and directly connected to trusted payment platforms. 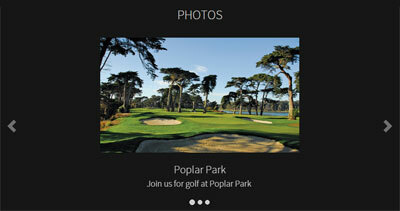 Eventleaf Online appears to be adaptable to both small and large events. It does shine when the number of attendees increases, and the ease in the ability to manage the contacts and analyze registrant responses becomes valuable. Eventleaf Online Review: "An Event Management Systems Truly Delivers"
From the moment I created my account, I found the software easy to set up and use. I was totally stunned by how easy Eventleaf is to use. When I say there is no learning curve, I mean - none. From the overall setup of your event to tracking registrations and analyzing ticket sales; the system does it all. It is a total immediate solution for anyone who plans events large or small. If I could pick on one thing, while Eventleaf Online is hugely customizable, the tablet app doesn't let you change the desktop colors. I prefer a darker blend. Eventleaf Online is truly a 5-star event software platform. The platform stability and the responsiveness also gets my top grade. Eventleaf Online Review: "Perfectly Designed All In One Management System"
It has been a great experience using the Eventleaf Online management system (online as well as offline). I have mostly used it online. It’s very hard to find all the features in just in one management system which my organization is looking for. What I can say is that the Eventleaf Online team has designed each and every feature very carefully considering many of the drawbacks which other event management software products in the market have and they have done an amazing job with it. Being an IT company we have to handle several events each year and some of them are paid events. I liked this particular system as they also have the option to customize a badge design with barcodes, which can be scanned when the attendees check In. Eventleaf Online gives you all sort of reports and it has its own barcode reader app which can be used to run reports etc. I would highly recommend Eventleaf Online to everyone as it served my purpose no matter what the event was. Event Badges with barcode as when I run the report I know who attended and who did not. This system allows you to sell tickets to your event which is another plus as we do have events which are mostly required to sell tickets. We also have this feature where you can manage your contacts on most popular social networks and with just a few clicks you are done. This system allows you to manage everything in one platform, save time, and maintain all your events in one place with worrying about what you might have missed. As for what I have experienced there have been no scenarios where Eventleaf Online is less appropriate. I believe this system suits all organizations. On the contrary there are some features which I do not use as I do not require them, hence I cannot comment on them. The best part is that we no longer have to remember all the different platforms for different features, it’s here and widely available at your fingertips. Eventleaf Online Review: "Eventleaf Takes your stress away"
Eventleaf Online is a useful product when planning a conference or presentation event. There are several aspects to planning an event that I was oblivious to until Eventleaf Online walked me though setting up an event. For example, I would have never thought of customizing I.D badges or providing expedited check in for my clients; however, once I was prompted to have these additional resources by the Eventleaf Online software, I felt more confident in the professionalism of my event with each step. Eventleaf Online also assisted with the financial portion from fees to checkout, making the aspect that I dreaded the most the least stressful. I would say the most important benefit of using Eventleaf Online was that it allowed me to compile a list of contacts. That may not seem like a major part of an event, however, having this information readily available going forward all in one place is going to prove very useful. You can customize your invitations and registrations and offer incentives such as package deals or workshops which provides more opportunities for income. Overall, I would highly recommend trying Eventleaf Online for your events. If your event is free then so is your use of Eventleaf Online- you have nothing to lose! Technology driven; in case you are not used to running a business online. No - I feel like Eventleaf Online would be appropriate at any event of any size. Eventleaf Online Review: "A Perfect Event Management Platform"
We are an Australian company and we have recently opened a branch in Dubai. I have been appointed to handle all of the sales and marketing and I am also given responsibility of managing marketing events. I was looking for a platform which would help me conquer this task and I didn't have much help. I read about Eventleaf Online and discovered that it is that all in one platform I had in mind. I created an account and with just few clicks I was done with publishing my first event. So far, I have used it for only two events and my boss is really amused and satisfied with the way I have handled these two events. It is all in one software, very simple, reliable, yet with all the tools you want in one place. 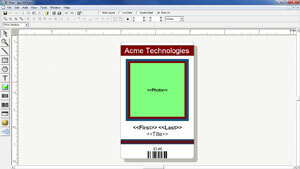 It allows you to print event badges with bar-codes, sell tickets, register and check in attendees. If your company has contacts and followers on the social media network, this platform allows to keep them informed by giving you access to the most popular social networks at just a click. Its just simply the best software I have come across. To be honest I believe the options/features and the ability to manage and maintain your event all from one platform is pretty amazing. I can manage my event from a tablet, home or office PC and even using my phone. I don't think it is inappropriate in any way. There are some features which I don't use and hence I cannot comment on yet. All in all I am happy with this product and I would highly recommend this to any of my associates and am going to soon introduce it to my head office in Australia. Eventleaf Online Review: "Excellent for all your event organizing needs"
Eventleaf Online is my go-to event organizing tool. I carefully matched the features of event registration software packages to decide which the best was. I chose Eventleaf Online because it delivered the most inclusive tools from start to end. It is a common fact that people favor software which is actually easy to manage and use. I can verify that Eventleaf Online is one of them. Beside other benefits, the most important part is that Eventleaf Online is free to use. I definitely endorse this software, because of its variety of functions and it is easy to modify according to your requirements. Plus the support team is prompt and doing a fantastic job. This is also a multi-language platform, a great and useful feature and one that surprised me greatly. Does the job. Nothing much to dislike. Eventleaf Online Review: "All-in-One Platform for Event Management"
I compared the features of event registration software packages to determine which programs were the best. I chose Eventleaf Online because it provided the most comprehensive tools from beginning to end. Although Eventleaf's software doesn't ensure that your event will be top-selling, it provides cost-effective event management software to help businesses organize and sell tickets to events online-while helping people discover events that fuel their passions. Eventleaf Online is a great platform for school, colleges and university events, film and music festivals, workshops, meetings, conferences, trade shows etc. The details are easy to find for each event. It is very simple and easy to use, there’s nothing to dislike. Eventleaf Online looks awesome and it is very simple to use. Eventleaf Online Review: "Unbelievable time saver!" I started using Eventleaf Online for organizing free events at my university. It quickly became my to go tool for organizing everything: from international students arrivals to the university’s summer school. It allows you to connect it to Facebook, which for me is great, as students hang there all the time and therefore see all updates immediately. The set up is very easy. You can have a smaller event up in less then an hour. The payouts and billings are straightforward and easy to track. You can manage everything from one platform and do not have to worry that you forgot something. The best part is, that your free events are also free for you. The selling platform has proven very good for selling tickets, workshop packages and summer school courses. 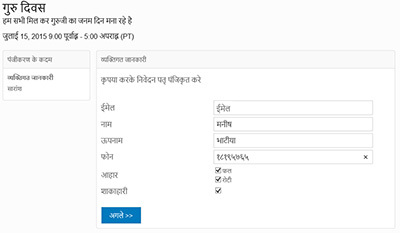 The platform also allows for different languages, a great and useful feature and one that surprised me greatly in a very positive way. Eventleaf Online is excellent for multinational companies. It is a common fact that people prefer software which is really easy to manage and easy to use. I can say that Eventleaf Online is one of them. Beside other benefits, the most important part is that Eventleaf Online is FREE to use. It is really great platform to create amazing events within minutes. You can import your contacts and send invitations to them. It is that easy. This software is best in all regards. You will find everything in one place. I HIGHLY RECOMMEND this software, because of its functions, easiness and it is easy to customize according to your needs. The support team is doing a great job. I am 100% satisfied. Eventleaf Online is best in all regards. I love this software. Eventleaf Online Review: "Eventleaf makes sense"
We are using it for online workshops. I love it when online platforms make sense and also have a lot of common sense, if that makes any sense :) What I loved the most is the fact that Eventleaf is FREE to use when I am organizing free events. I do organize events on behalf of not for profit entities, and most of their events are free which makes Eventleaf the ideal choice. The platform is feature rich and is like an event-management Army Swiss Knife. 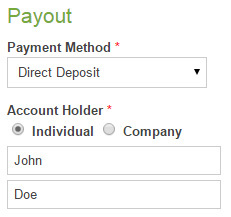 The account creation was super easy and straight forward. I highly recommend it. Eventleaf Online Review: "Awesome platform to use for event planning!" Using Eventleaf Online to host our meetings has made organizing and hosting events extremely simple. We used it to create the event landing page, to share our event, and to register and manage our guests. Ticketing and the check in process were seamless. Eventleaf Online is an extremely intuitive program and the learning curve was little to none. This was my first time using the service and I will definitely be using it in the future. It's a great platform for anyone looking to simplify the process of planning and hosting an event. If you are looking for a way to easily create and manage an event, this is the perfect software for doing so. My colleague and I were not looking forward to the task of organizing an event for our company, but this made it very easy and painless. Eventleaf Online Review: "Definitely going to be using Eventleaf in the future!" I recently used Eventleaf Online for an event at my school and it was extremely helpful! I have used other types of programs to make events, so this was my first time using Eventleaf Online. And I have to say, it made the whole process of making the event laid back and trouble-free. Since I was able to design my page, I could make it look like a professional did it. The page included my guest speaker, a summary of the event and some pictures. The people that ending up attending really liked the confirmation email because I could customize the message and give them specifics on where free parking was located. Lastly, I was able to collect data for the event by easily checking in people who actually came to the event. I am definitely going to be using Eventleaf Online in the future. 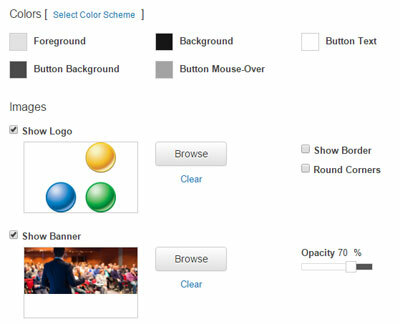 Eventleaf Online allows you to customize many different aspects! I think Eventleaf Online has everything pretty much covered. Eventleaf Online is perfect for making an event. Sync Eventleaf Online with Eventleaf DesktopSell Tickets Online Sell admission tickets, workshop packages, training courses, tours, meals and more.Send Invitations Send e-mail invitations to members, past attendees, prospects and other contacts. Contact details including name, organization and e-mail can be imported from a file or entered by hand.Send Confirmation Email Customize the registration confirmation e-mail sent to guests after they register. Include a message, event and registration details, directions and check in procedures. Include a barcode for fast check in upon arrival.Add Speaker and Presenter Information Add photos and biographical information about the people that will be speaking or presenting at your event.Create an Event Schedule Enter the dates and times for each workshop, meeting, seminar and other schedule items that will be occurring during your event. The information is displayed in an easy to read format for your guests.Customize the Registration Form Create your own registration form to collect the information you need in the format that you want.Design a Beautiful Event Page Design your event page so that it makes a real impact. Eventleaf offers unmatched design flexibility that leverages the latest web technologies so your event page stands out from the pack.Register Online Create and publish your event using Eventleaf and your guests can register online.Add Photos Enhance the appearance of your event page by adding a photo slideshow.Choose a Language Select one of several supported languages so your guests can register in their native language.Track Invitation Status Monitor invitation status to see who has viewed the invitation email, viewed the event page or registered. Also view emails that could not be delivered and people who have unsubscribed.Manage Contacts Create and manage contact lists. Build lists by adding one contact at a time, import from a file or copy from another contact listInvite on Facebook Send invitations to your existing friends and colleagues on Facebook or share the event details on your timeline.Include 1D and 2D Barcodes Print 1D and 2D barcodes on the event badges for fast scanning and accurate data collection during booth visits, training, presentations and seminars.Print Event Badges Print event badges for registered guests from the Eventleaf website or design and print custom badges of any size with your logo, brand colors and fonts with the Eventleaf Desktop app.Register Onsite For guests who did not register in advance using online registration, Eventleaf desktop software can be used to register on-site. Each step in the registration process is configurable so the process can be streamlined to meet your exact requirements. The entire process from information capture to badge printing can be accomplished in less than a minute.Get Paid Immediately Collect funds as tickets are sold by using your own merchant account. Alternatively, you can use the Jolly payment processor without the need for a 3rd party account and get paid monthly or when your event ends.Choose Currency and Processor Sell tickets using the Jolly payment processor or use your own account with one of the supported payment processor. 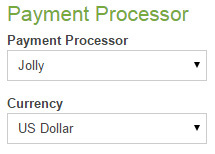 Choose any currency that your processor account supports. 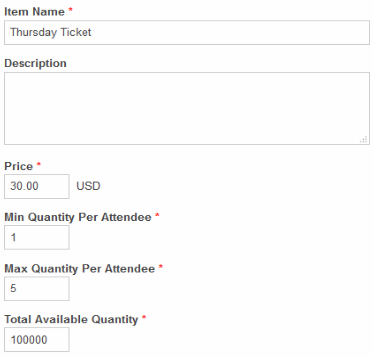 Jolly Paypal Authorize.Net 2CheckoutSet Price and Availability Set price levels and available quantities for each ticket. 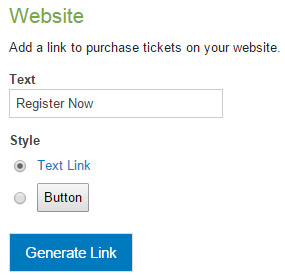 Set the date range when a given ticket or package item will be available for purchase.Promote on YOUR Website Add buttons and links on your website to promote your event and direct visitors to the registration page. 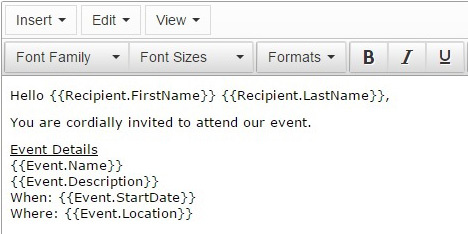 Eventleaf generates code-snippets for you to include on your website.